American Sign Language students from Elwood-John H. Glenn High School volunteered their time at the Mill Neck Family’s annual Apple Festival on Oct. 6. This festival, established in 1961, offers fall family fun with all proceeds going to the Mill Neck Manor School for the Deaf. After working in the packing and delivering station at the festival, the students raised $104 in tips. These funds were then donated back to the Mill Neck Manor School for the Deaf. ASL students from Elwood-John H. Glenn have performed this annual labor of love for the past 10 years and will continue to do so in the years to come. “I’m so thankful my students want to give back to the deaf community on Long Island,” said ASL teacher and club adviser Nicole Correia. 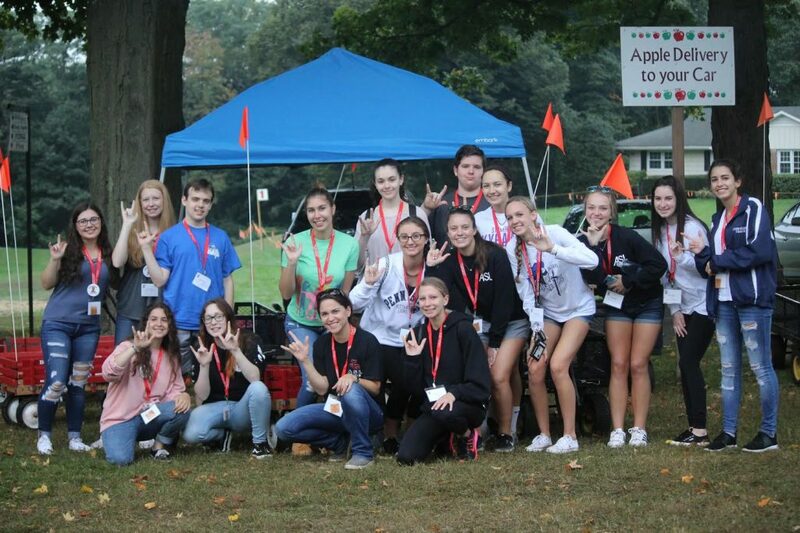 Elwood John H. Glenn students ASL students spread the love while volunteering, along with a few students from other schools, at the Mill Neck Family’s annual Apple Festival on Oct. 6. 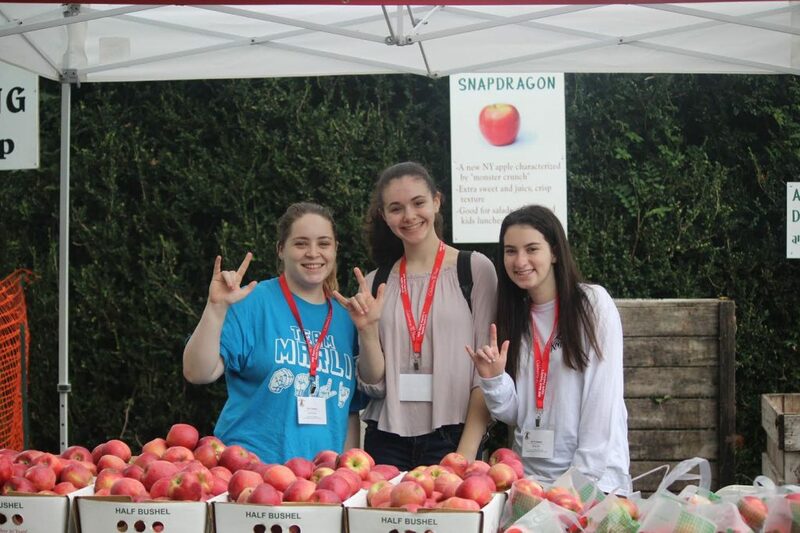 JGHS students that volunteered at the Mill Neck Family’s annual Apple Festival worked in the packing and delivering station and raised over $100 in tips that the donated back to the manor’s School for the Deaf.